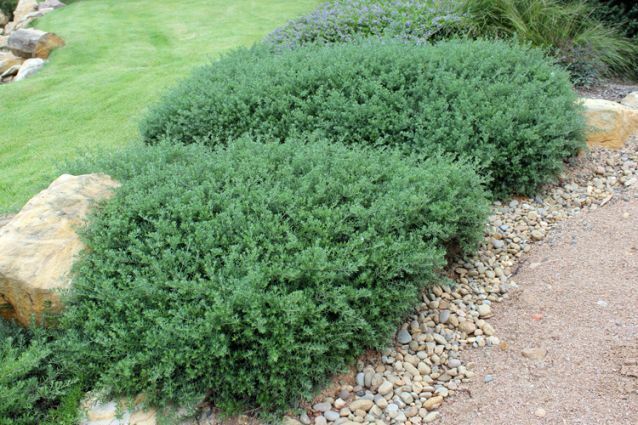 Ozbreed’s range of native shrubs and ground covers are beautiful and functional. The plants in this range have been bred and selected for better performance and looks. They are able to handle harsh conditions including drought while still looking great in the landscape. These new native shrubs and groundcovers are more uniform, tidier and have very little maintenance needs. Small and compact shrubs in this range are great for low growing, native hedges. PURPLE FUSION ™ Scaevola humilis ‘PFS100’ PBR – A tough landscape Scaevola that is a flat growing groundcover, it flowers for months at a time! FREE FALL™ Casuarina glauca prostrate ‘CAS01’ PBR is an erosion control Casuarina glauca prostrate.